Join us for our 5th Annual Pops ON! Celebrate with Michael Nowak & Orchestra Novo! A film score creates the sweeping romance, daring adventure, and thrilling suspense for any movie. 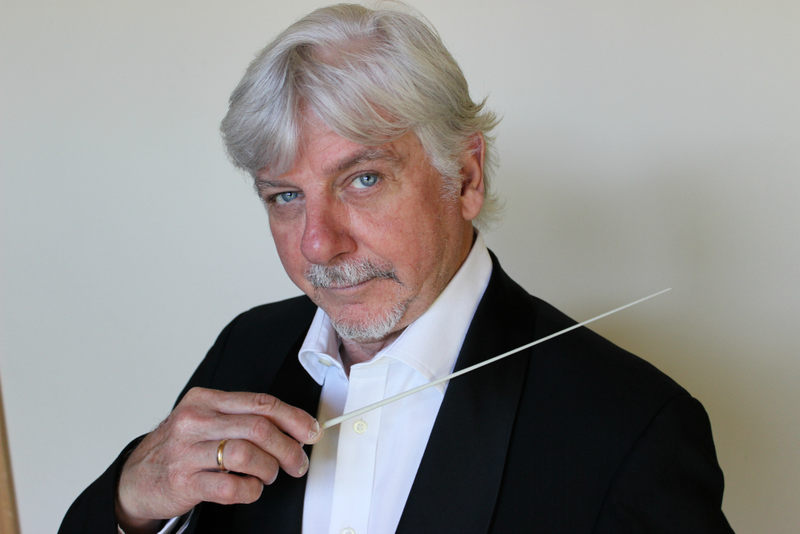 As a 45-year studio musician and conductor for film and tv, Michael Nowak has performed on or led the orchestra for every type of soundtrack. We invite you to delight in your favorites on this magical Sunday afternoon. At our Boston-style Pops, picnics are welcome as are non-alcoholic beverages. All beer, wine & spirits are only available for purchase from our good friends at the Madonna Inn. Add some movie flare to your table with cinema-themed decor or come as your favorite film star. Be sure to reserve your seats early. Purchase individual seats or bring 9 of your friends for a full table of 10. Sponsor Tables receive premium placement, complimentary wine and glasses, and more! Special Instructions: when you view the seating layout, you will see some tables with a single Purple or Green seat along with 9 gray seats. This indicates that the entire table is for sale as one item. Hold your cursor on the colored seat and click. It will give you an option to 'Select a Price Level.' Click on that price and add it to your cart. You should see the 'Table of 10' or 'Sponsor Table' show up for Checkout.